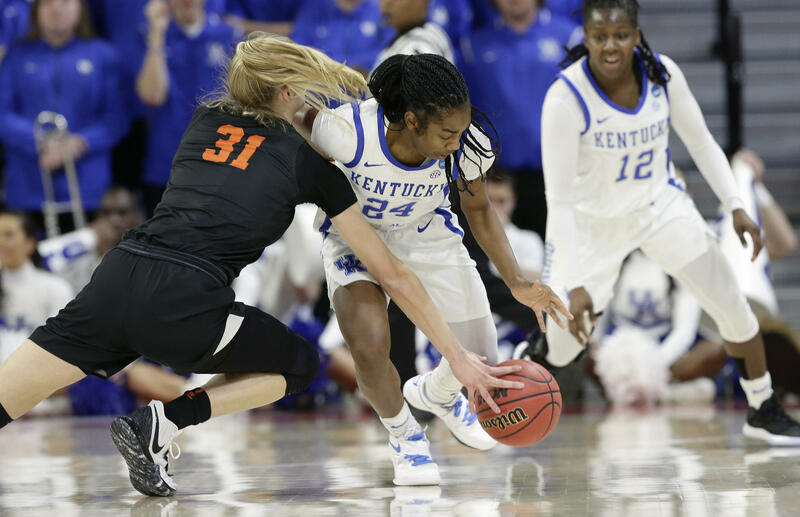 Taylor Murray scored 14 of her 19 points in the second half, and Kentucky beat Princeton 82-77 on Saturday in the first round of the NCAA Tournament. Maci Morris added 19 points, freshman Rhyne Howard had 15 and Tatyana Wyatt finished with 12 to help the sixth-seeded Wildcats (25-7) reach the second round of the Greensboro Region. The No. 17 University of Kentucky women’s basketball team has been selected as an at-large team in the 2019 NCAA Women’s Basketball Tournament, earning the Wildcats’ ninth appearance in the last 10 seasons in the event. Sixth-seeded Kentucky (24-7) will face 11th-seeded Princeton (22-9) in the first round on Saturday inside Reynolds Coliseum in Raleigh, N.C. The game tips at 11 a.m. and will be televised on ESPN 2.